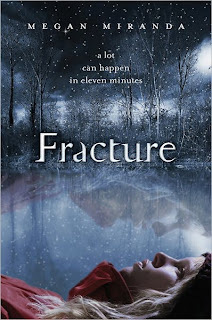 Today, I'm featuring FRACTURE, a story of a girl revived after 11 minutes under the icy water in a Maine lake. She should have significant brain damage, yet the only effect seems to be that she is now drawn to people who are about to die. Don't go into this expecting an epic paranormal tale - it's not. Instead, it's a deeply touching look at relationships and what's important in life. Delaney and Decker have been friends & neighbors forever, and they've been skating around their romantic feelings for each other. After Delaney falls into the lake, Decker has intense feelings of guilt for taking so long to pull her out. I love that their relationship feels true. I also love that it tackles the big questions. That Delany survives is a miracle - but will she survive long enough to get her priorities in order? What would any of us do if we had only one day to live? Why aren't we doing it? Also - LOVE how Les Miserables (The Musical) was worked in. I was obsessed with it in high school and it fits perfectly thematically here. "To love another person is to see the face of God," indeed. Now let's chat with Megan! The very last scene of the book, for so many reasons. I can’t really say anything about it, though, without giving away spoilers! That last scene gave me chills and made me hug my eReader against my chest. What is your favorite line in the book? There’s so much you can do with snow and ice—a simple setting can turn terrifying so quickly. I loved writing the outside scenes at the lake, even though they didn’t always end well…. Truly, I felt like I was there. Who is your favorite supporting character - one you could see getting a spin-off book - and why? It’s a close call between Janna and Decker. Janna was my personal favorite, but as far as a character who could get a spin-off book, that would have to be Decker. He was definitely my favorite character to develop and write. Decker has his own story, but it doesn’t always make it onto the page in Fracture since everything is filtered through Delaney. He has to go through his own journey, but we only see it when their journeys coincide. His story is there, even though it’s mostly behind the scenes, but he could definitely fill his own book. This! Getting ready to release the book. It’s been completely surreal (and exciting) seeing everything come together in a finished product. FRACTURE is now available in hardcover. Find out more about it at the author's website and add it to Goodreads. 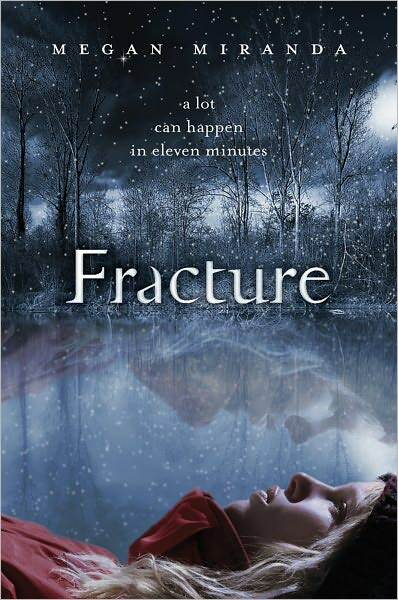 Read the first two chapters of FRACTURE here. FTC disclosure: I read a review copy downloaded from NetGalley. I loved both of these books SO HARD!! I found myself re-reading bits of Fracture because the writing was so intensely lovely. OH THAT ENDING! I love the dramatic nature of it, the feelings and emotions that are attached. I also love that it wraps up with the beginning, something that many authors miss. Janna and Decker are great characters. If this book weren't such a great standalone I'd demand a companion or something.